Sweet well-kept beach cottage – Living Room/Dining Room/Kitchen Combo – 23×12, 3 bedrooms, 1 bath, sunroom – 23×10. 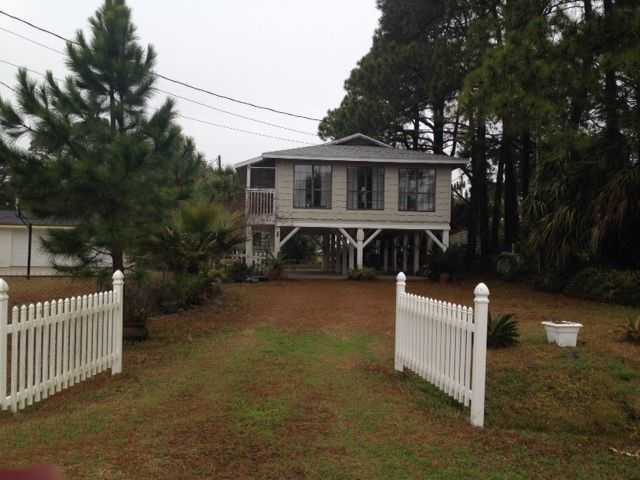 Great views of Gulf, bay, marshland and canals. Friendly golf cart community, new boat ramp, furnished. Perfect for weekend fishing, boating, etc. or year-round living. Beautiful sunrises and sunsets.